NGG Pompeii. 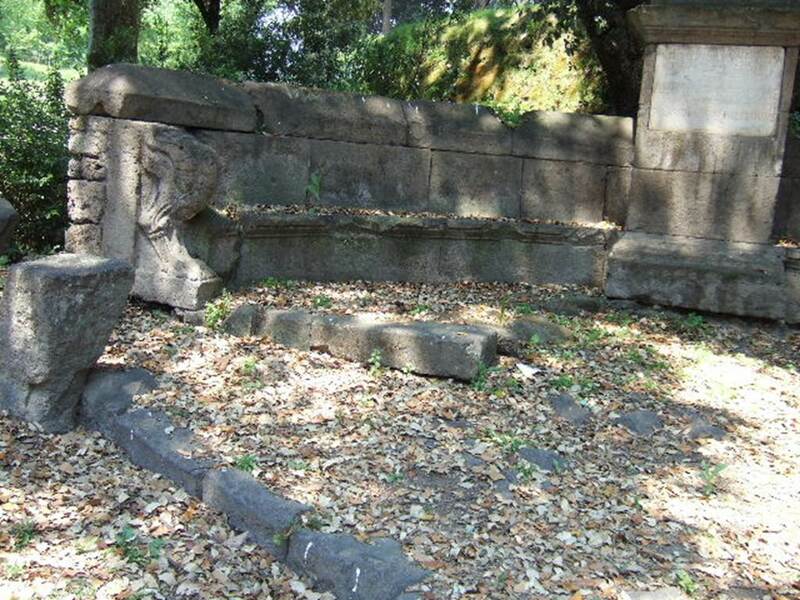 Porta Nola Tombs. Schola of Aesquillia Polla. NGG Pompeii. May 2006. 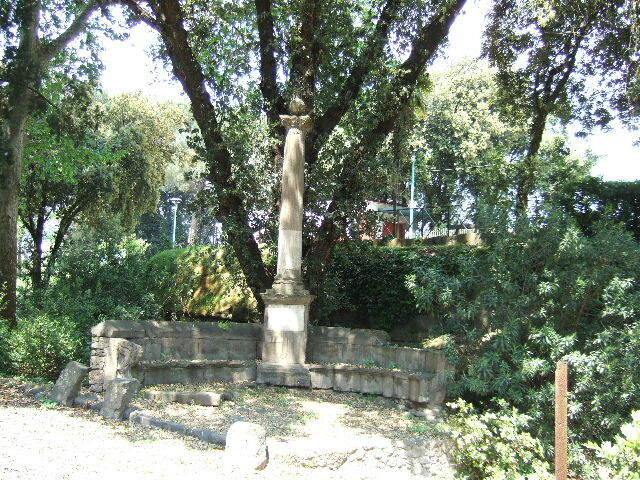 Tomb of Aesquillia Polla. NGG Pompeii. May 2006. Looking east towards tomb of Aesquillia Polla. NGG Pompeii. 1910 photo, looking east towards tomb of Aesquillia Polla. NGG Pompeii. May 2006. North end of tomb of Aesquillia Polla. NGG Pompeii. May 2006. South end of tomb of Aesquillia Polla. 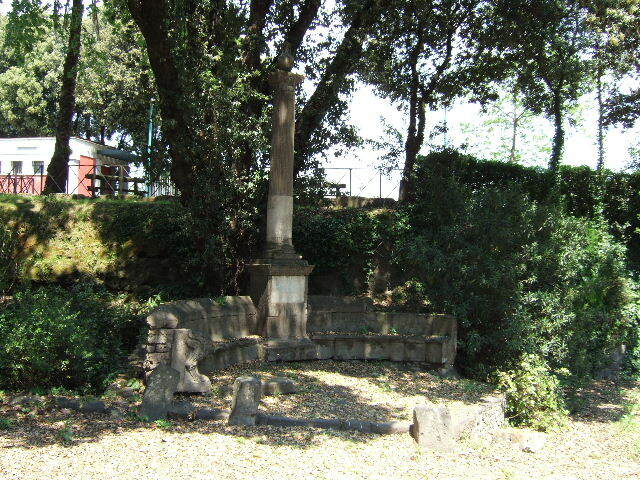 NGG Pompeii. 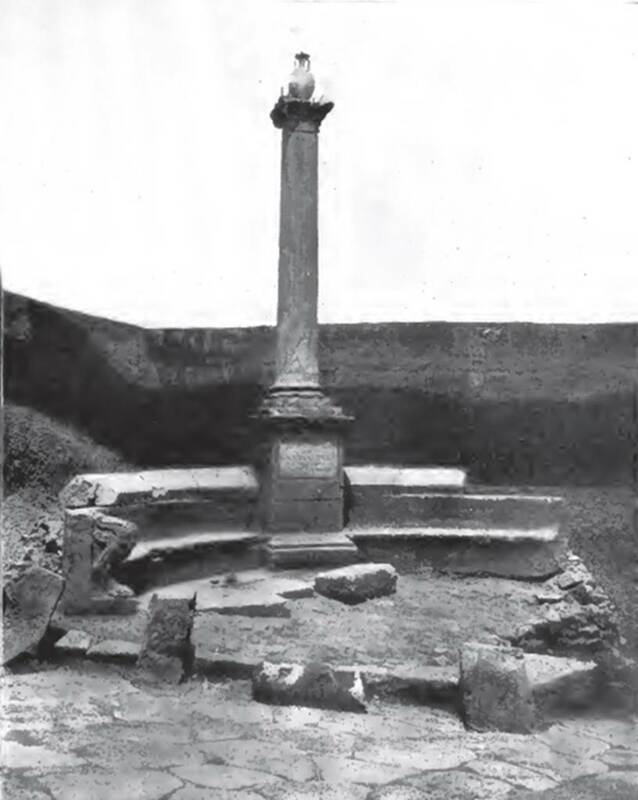 1910 photo of top of Ionic column with marble vase and the remains of iron tridents. 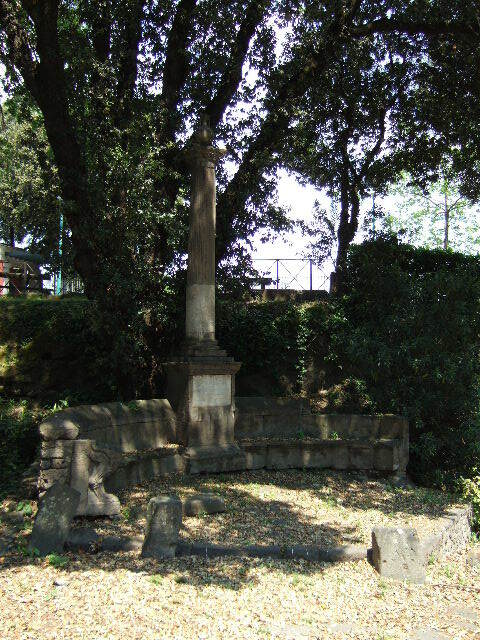 NGG Pompeii. May 2006. Inscription on marble plaque of tomb of Aesquillia Polla. Numerius Herennius Celsus, son of Numerius, of the Menenian tribe, duumvir with judicial power twice, staff officer, to Aesquillia Polla, daughter of Gaius, his wife. She lived 22 years. A burial place was given publicly by decree of the town councillors. See Cooley, A. and M.G.L., 2004. Pompeii : A Sourcebook. London : Routledge. (p. 139, G5). NGG Pompeii. 1912 photo of a cast made in 1911 of a man found holding a tree branch. It is presumed the victim was climbing the tree to try to escape his fate. 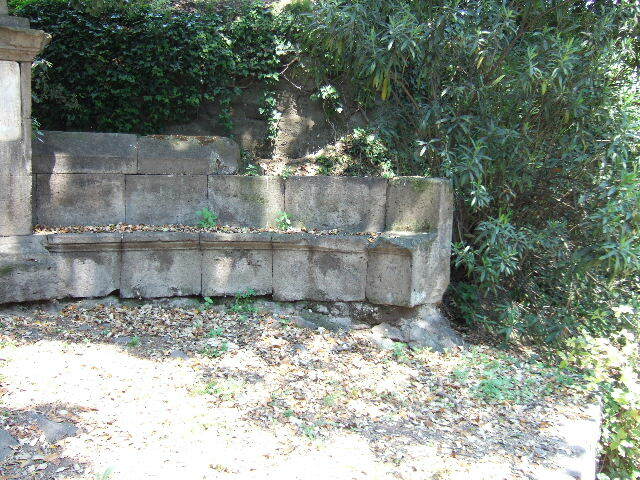 The body was found 15.5m from the south-east corner of the enclosure on the side of the schola tomb. See Notizie degli Scavi di Antichità, 1911, p. 495, fig. 2. NGG Pompeii. Cast of victim made in September 1908. The body was found 6 metres east from the eastern extremity of the schola, towards the north east. On the right side where the plaster did not penetrate, the residue of a purse of rather coarse cloth was recovered. -Cylindrical reliquary of silver with cover, containing a small pebble and the remains of an ointment of dark colour. -Small empty circular base, silver with moulding. -Seventeen bronze coins, of the Emperors Augustus, Claudius, Galba, Vespasian and Titus. -Forty-six silver coins, quite a lot of which were of M. Anthony, eleven of Vespasian, one of Titus and two of Domitian. See Notizie degli Scavi di Antichità, 1910, p. 397, fig. 10. NGG Pompeii. May 2006. Continuation of Via di Nola into the unexcavated area is straight ahead. The tomb of Aesquillia Polla is on left, with tomb NGH on the right.